These performing Walkabout Dragon puppeteers offer “Dragon Days”, a colourful variety of dragon-themed entertainments that will engage and delight the whole family. 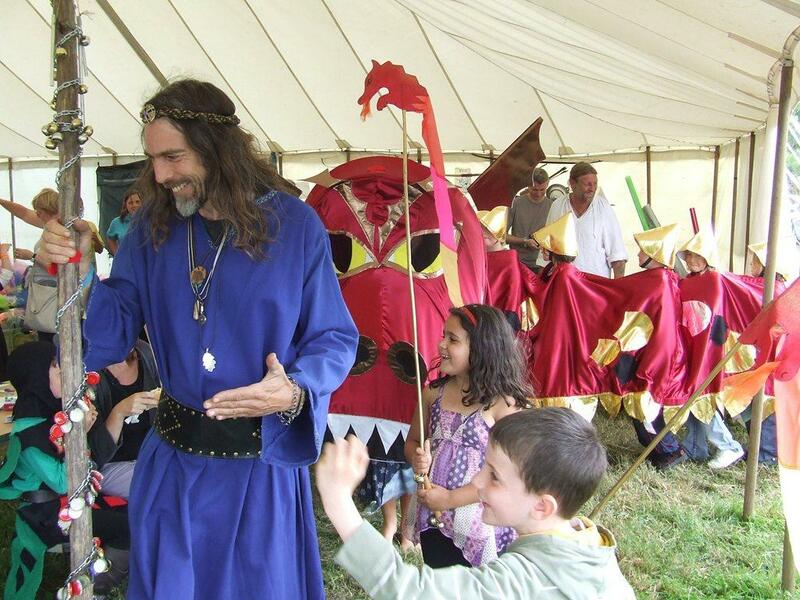 This is unique children’s entertainment that works very well at family fun days, private parties and festivals. 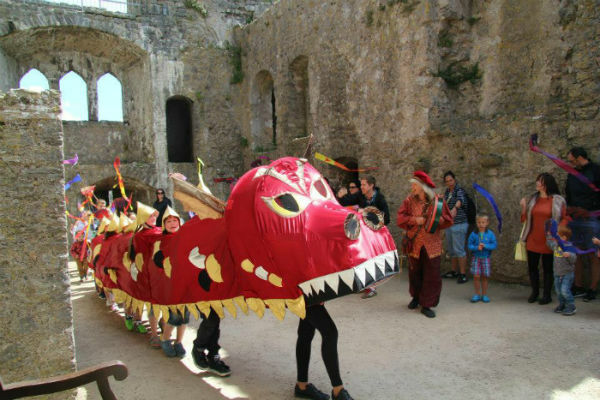 In the crowd, on the green or under cover, their dragons will fill your days with fun! 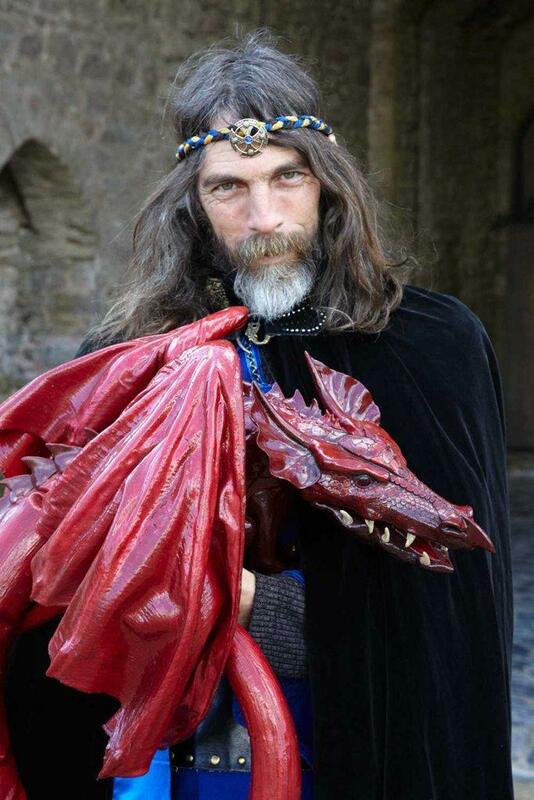 So get close-up and hands-on with their baby walkabout dragons, come for an adventure in the magnificent red-and-gold processional dragon and then relax with some lively dragon tales from around the world. 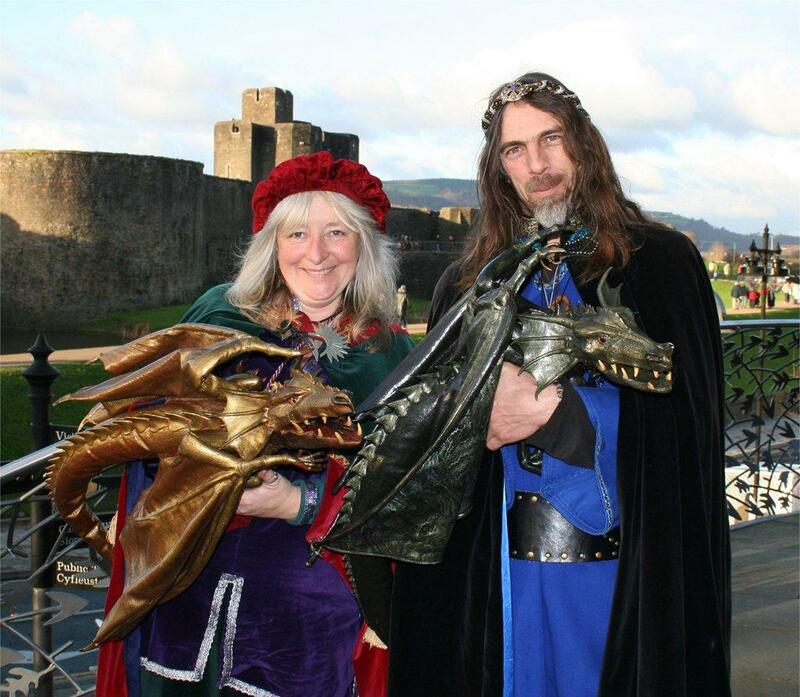 Or you can choose whichever of their activities will fit best with the content and style of your event. 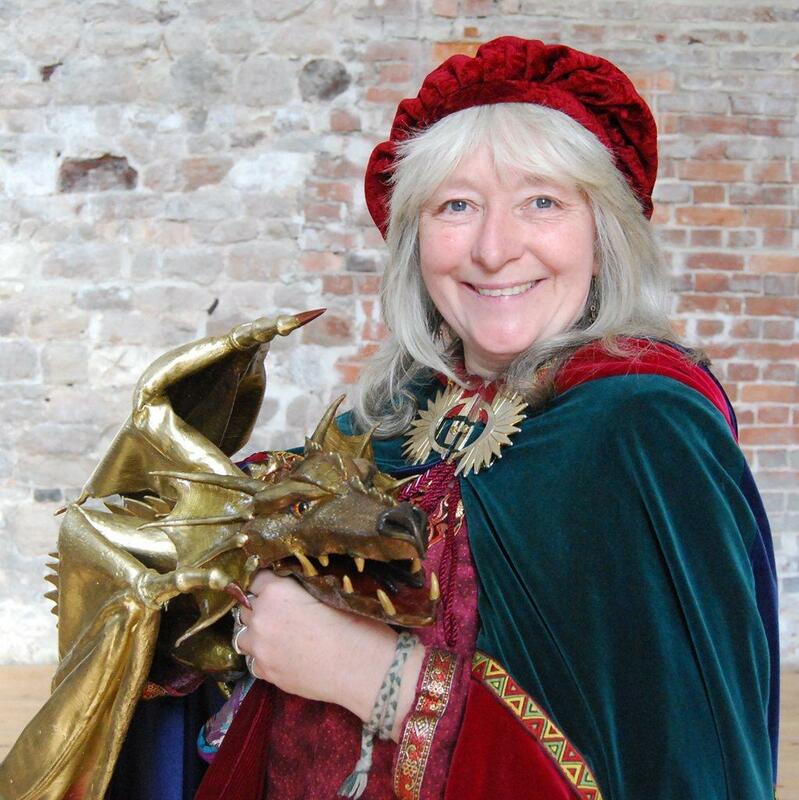 The Dragon Days team are now delighted to offer two different walkabout dragon acts within the same event. 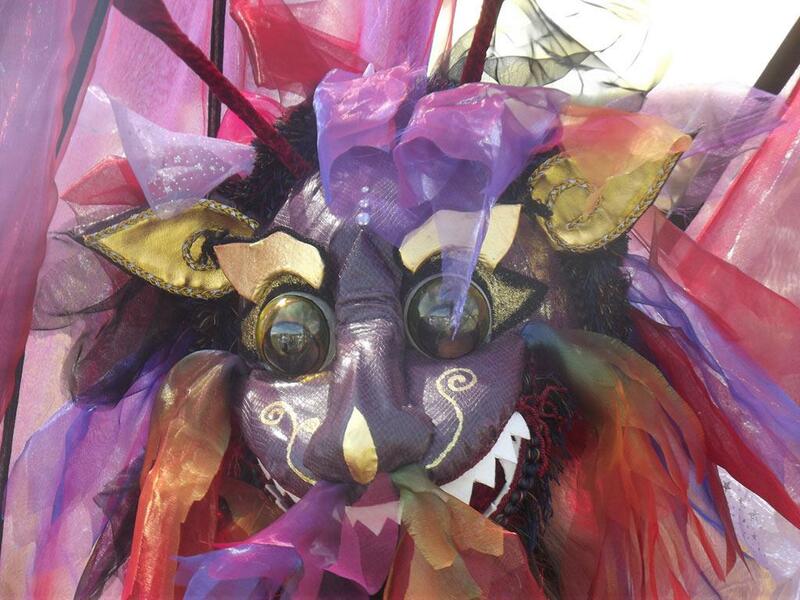 The recent addition of the spectacular Carnival Dragons brings a different dimension to street events and expands the scope of the Dragon Days to offer a selection of four different dragon-themed activities. 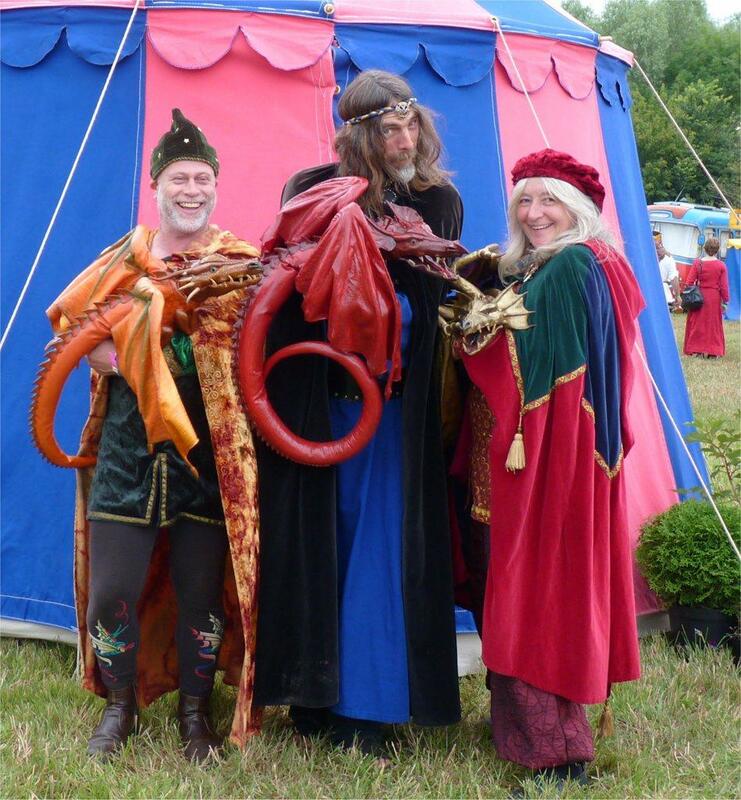 Their core team of two walkabout dragon handlers will certainly keep you fully entertained with dragon walkabout, procession and storytelling. 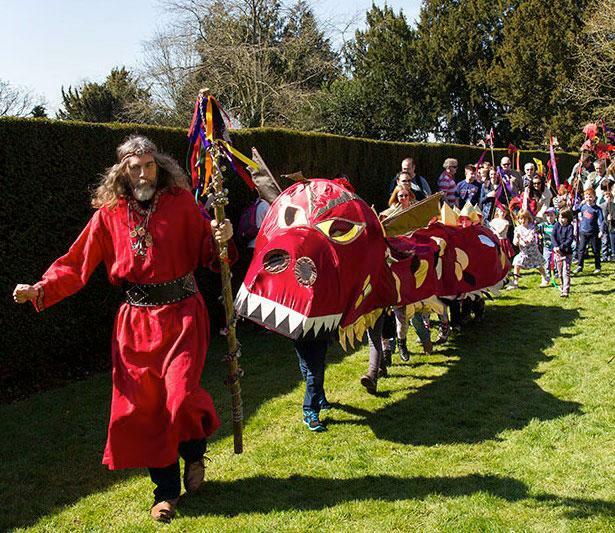 However with three dragon handlers can offer greater coverage for walkabout at larger events and they add Sir Bouncalot, their trusty knight on stilts, to the dragon procession. A single dragon may sometimes be possible for walkabout and stories only. 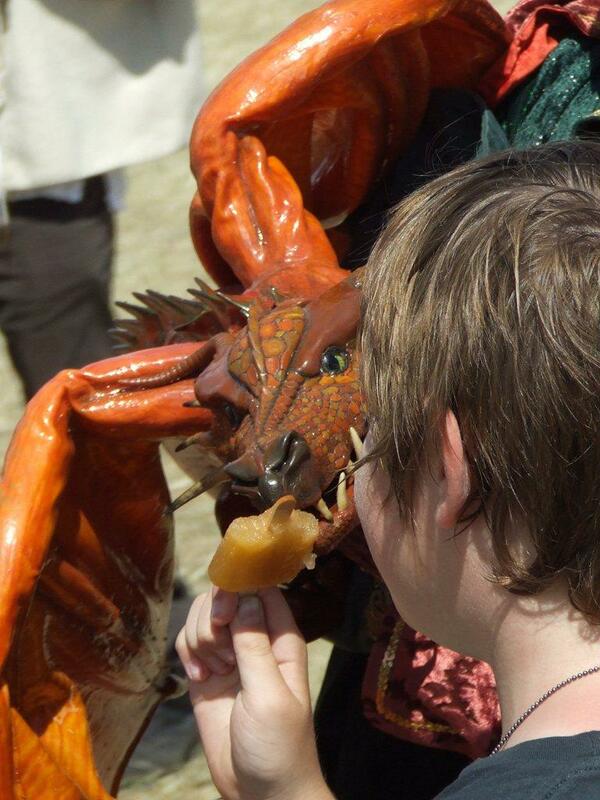 Dragon Days usually offer a maximum of three hours performance per person per day, with suitable breaks. Walkabout sessions are 30 minutes – 1 hour. The procession takes approximately 30 minutes, and the story sessions are 30-40 minutes long.